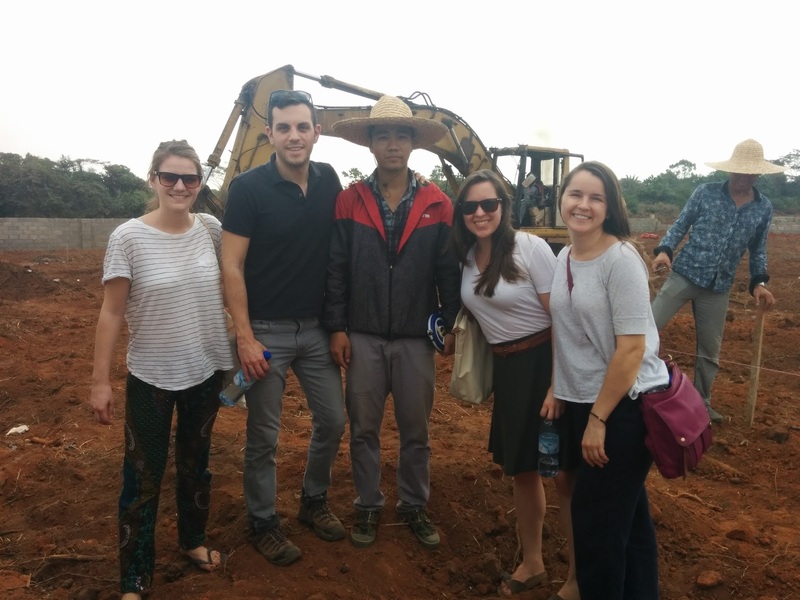 The China Africa Research Initiative (CARI) at the Johns Hopkins School of Advanced International Studies (SAIS) connected two teams of SAIS International Development Program students to organizations in Africa for their 2015-2016 practicum course. In this guest post, the team of students who consulted for the Ogun-Guangdong Free Trade Zone in Nigeria reflect on their experience. 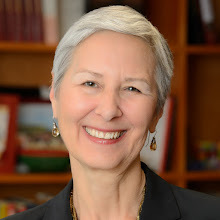 Support for the practicum was provided by a grant from Carnegie Corporation of New York and the Starr Foundation. “When we ask locals where China is, they point down the road to the zone,” said John Xue, COO for the Ogun-Guandong Free Trade Zone in Igbesa, Nigeria. China’s presence in Africa is growing through a number of vehicles, not the least of which are sizeable investments in special economic zones across the continent. The use of special economic zones as conduits for global economic integration and growth is familiar for China, having pioneered the transformative change of SEZs on their own domestic economy for several decades. The application of the SEZ strategy to the African context, however, has produced mixed results by most accounts. As part of the International Development practicum program, an intrepid team of SAIS students spent two weeks inside the Ogun-Guandong Free Trade Zone (OGFTZ) to understand the political, social and economic implications of the China-Africa SEZ strategy. The Ogun-Guandong Free Trade Zone partnership began in the mid 2000s between China’s Guandong province and Nigeria’s Ogun state government. Located roughly 30 kilometers outside of Lagos, the OGFTZ was positioned to take advantage of one of Africa’s largest and fastest growing economies. Yet, hampered by a number of infrastructure and management challenges, performance of the OGFTZ in its early years was disappointing, and through a series of transitions, a new management team took control of operations in 2012. Now, as the zone’s majority owner and operator, the privately-owned Zhongfu Management Company represents an outlier for Chinese investment in Africa away from state-owned-enterprises and toward private industry. The novelty of the zone’s management model is further underscored by its recent performance – the OGFTZ has rebounded from a potential shut-down to its current position as one of the country’s most successful zones. One customs official indicated that customs duties have increased nearly 1000-fold since the time of management transition from 500,000 NGN in annual customs duties to over 500 million NGN. What impact has this new management model had in shifting the trajectory of the OGFTZ? Is the dramatic change in the zone’s recent growth a good thing? For whom? SAIS IDEV students, Andrew Caruso, Danielle Nesmith, Teresa Peterburs, and Egle Vilkelyte, were invited to spend two weeks in Igbesa, Nigeria to meet with a broad collection of the zone’s stakeholders, assess its current state, and provide insights into the zone’s future sustainable growth. Guided by current literature on economic, social and political factors that impact the success of special economic zones, the team created an interview agenda that represented a holistic cross-section of zone participants. The team conducted in-depth interviews with zone management, investors of various types/sizes/longevities in the zone, Ogun state government officials, educational institutions, local tribal chiefs, local workers and prospective investors. Among a rich array of findings, common themes emerged. Most notably, there was significant consensus that the zone’s new management team was essential to the zone’s recent success through primarily two channels: their innovative and creative approaches to problem solving in the African context, and their focus on building and maintaining relationships at every level (including attracting future investment through a strong network of business colleagues in China). While a general sense of positive progress was noted across the stakeholder group, challenges certainly remain. Among the top obstacles cited by stakeholders, improving infrastructure and managing cross-cultural dynamics remain key impediments to future progress. Without fail, each stakeholder (including state officials) noted the condition of the zone’s single access road as its biggest handicap. According to a local tribal chief, the road has not been paved since the 1960s, when it was originally designed for passenger vehicles, not the heavy industrial truck traffic it currently supports. Affectionately named “massage road” by the Chinese management team, the road remains unpaved with deep holes and gulleys that can overturn trailers, cause damage to shipped products, and reduce the number of trucks that can enter or exit the zone with inputs or outputs. At least one investor indicated the need to warehouse nearly two months of previous production simply because they could not achieve the volume of trucks required to bring their products to market. Similarly, power infrastructure remains tenuous, since the country’s main natural gas producer, who also built the gas distribution grid for the zone, now indicates that supplying additional gas to meet demand (let alone growth) is not possible. Current supply is also sub-optimal; tenants face significant variability in the power supply’s consistency and reliability, causing production delays, damage to equipment, and the need to maintain back-up generators. Expanding the traditional role of a zone operator, Zhongfu now finds itself as the lead-negotiator for constructing multi-party agreements to address some of these needs on behalf of their investors. Yet, building physical infrastructure is not the only top-priority on investors’ minds. They find that social infrastructure has a profound impact on the bottom line, as well. Linguistic and cultural differences between Chinese companies, Nigerian workers (including inter-tribal differences) and other nationalities represented among the SEZ investors were consistently cited among the top challenges that threaten short term productivity and long-term sustainability. Engaging with the local culture while simultaneously preparing Nigerian workers for success in culturally-foreign companies is an oft-cited yet under-achieved goal across the zone. Identifying methods and partnerships to enhance understanding, cooperation and mutual respect in order to build a cross-cultural fluency that empowers SEZ business culture will be crucial for the zone’s long-term sustainability in the Nigerian context.